The Republican primary to determine the candidate to face incumbent Democratic Frederick county executive Jan Gardner was one race watched closely. Gardner ran unopposed while three candidates battled for the Republican nomination. Maryland state delegate Kathy Afzali would prevail over Frederick council member Kirby Delauter and former county budget officer Regina Williams. Afzali aided by the split vote among three candidates and the largest war chest, won with 42% of the vote. The November 6 General Election will have three candidates running for Frederick county executive. In addition to Gardner (D) and Afzali (R), Earl Robbins, a well known Frederick businessman is running as an unaffiliated candidate. Former NAACP president Ben Jealous would emerge the winner in a crowded field of candidates vying for the Democratic Party nomination for Governor. He and Prince George's county executive Rushern Baker had been running neck and neck in polls that showed as many as 40% of Democratic voters remained undecided. Jealous would receive 40% of the vote and Baker 29%. Incumbent U.S. senator Ben Cardin (D) cruised to victory in the primary and will face Republican Tony Campbell. Popular state comptroller Peter Franchot (D) ran unopposed and will face Republican Anjali Reed Phukan who also ran unopposed. Respected state attorney general Brian Frosh (D) will face Craig Wolf (R) - both ran unopposed. The announcement by congressman John Delaney (D-6th district) that he would not be running for reelection and would instead pursue a run for the White House, attracted eight Democratic candidates. David Trone, owner of Total Wine & More, would beat Maryland state delegate Aruna Miller 40%-30%. Trone ran for congress in the 8th district two years ago and lost to Jamie Raskin in the Democratic primary after spending millions of his own funds. He would again spend millions self-funding his campaign in this race. Trone will face Republican Amy Hoeber who won the Republican primary against three opponents with 68% of the vote. Incumbent representative Jamie Raskin (D-8th district) coasted to victory receiving 90% of the vote against two other candidates. He will face Republican John Walsh who received 45% of the vote among 3 candidates. The district 3 state senate race attracted candidates and much speculation after incumbent Ron Young(D) barely won reelection four years ago. Eight years ago, the four term former mayor of The City of Frederick defeated Republican Alex Mooney. Young faced two opponents in this election, one of them Jennifer Dougherty who is another former mayor of Frederick and Jennifer Brannan. Ron would win with 43% and Dougherty would receive 33%. Young will face Republican Craig Giangrande who crushed Frederick council member Billy Shreve, receiving 77% of the vote. Giangrande is the Frederick County Burger King franchise owner. In the district 4 state senate race, Republican Michael Hough ran unopposed and will face Democrat Jessica Douglass who won a close contest with Sabrina Massett. The district 3-a state delegate race where voters elect two, Democratic incumbents Karen Lewis Young and Carol Krimm survived a bit of a challenge from Ryan Trout and will face Republicans Mike Bowersox and James Dvorak who ran unopposed. Democratic candidate Ken Kerr and Republican incumbent William "Bill" Folden both ran unopposed for state delegate in district 3-b and will face each other in the General Election. Voters will pick 3 candidates in the district 4 state delegate race. Republicans Barrie Ciliberti, Dan Cox and Jesse Pippy ran unopposed and will face Democratic candidates Yselo Bravo, Lois Jarman and Darrin Ryan Smith, who also ran unopposed, in the General Election. Republican incumbent sheriff Chuck Jenkins and Democrat Karl Bickel both ran unopposed and will face each other in the General Election. The two Frederick County council members elected at-large (countywide) also attracted a lot of attention. Democrats Kai Hagen, a former county commissioner and Susan Reeder Jessee would win a closely fought race among five candidates including former county commissioner and state delegate Galen Clagett. Clagett would come in last and Kavonte Duckett, in his first try for office and bidding to be the first African American elected countywide in Frederick County, would come in a strong third. Susan Reeder Jessee and Kai Hagen will face Republicans Phillip Dacey and Danny Farrar who won against two other candidates in a very close contest. Also running for one of the two at-large council seats is Frederick County council president Bud Otis who is running as an unaffiliated candidate. Mr. Otis was elected as a Republican but changed to unaffiliated after his support of Democratic county executive Jan Gardner upset his Republican colleagues on the council. In the Frederick county council district 1 race, Democrat incumbent Jerry Donald ran unopposed and will face Republican Kevin Grubb who beat Dylan Diggs in their primary. In a bit of an upset, Tony Chmelik, a Frederick County council member representing district 2, was beat by Steven McKay 54-46%. McKay is well known locally from his work with (RALE) Residents Against Landsdale Expansion and much of the candidate differences in the campaign were centered on growth issues. McKay will face Democrat Lisa Jarosinski in the General Election. In the nonpartison race for board of education, the top eight from 13 candidates advanced to the General Election where voters will elect four. Incumbent Brad Young led all candidates by a large margin. Also moving on in order of votes received were Karen Yoho, Jay Mason, Liz Barrett, April Miller, Cindy Rose and Camden Raynor. Two candidates were locked in a tight race for the eighth and last position. They were Kim Williams (4,932) and Marie Fisher-Wyrick (4892). With only a 40 vote difference, this is a one race that will be decided by counting provisional/absentee ballots. The Maryland Primary Election also received some intrigue when The Baltimore Sun reported days before the election, the state motor vehicle administration had failed, due to a computer glitch, to notify the board of elections of address changes and/or change of party affiliation done online for as many as 80,000 voters across the state. These voters were notified they could vote using a provisional ballot. Provisional and absentee ballots will be counted and the election certified on July 6. Frederick County board of elections supervisor Stuart Harvey told me 700 absentee ballots had been received. The primary results were also delayed for one hour when the hours of several voting polls in Baltimore were extended due to some problems opening these polls. Out of the total votes cast in Frederick County, Democratic voters equaled 49.5% and Republicans voters 44.6%. The Maryland June 26 primary election is tomorrow and the state senate race in district 3 has plenty of interesting dynamics at play. In the Democratic primary, incumbent Ron Young has said this will be his last term, a phrase he has uttered in previous elections. Ron has been involved in politics his entire life, serving as mayor of The City of Frederick for 4 terms and now as state senator for two terms. He is well known and after a lifetime in politics has his supporters and detractors. Ron’s length of service and the ability to get things done along with a name recognition that is likely the highest of any politician in Frederick County, may help him eke out a victory. He is opposed by Jennifer Brannan and Jennifer Dougherty in the Democratic primary. Brannan is not well known and her campaign efforts have not helped voters to get to know her. Dougherty on the other hand is known as someone who always appears on the ballot and one who has been divisive in local politics. This election will mark the tenth time Jennifer has run for office in Frederick County. Her sole win was in the 2001 City of Frederick mayoral election, aided when she won by 36 votes against more experienced Meta Nash in the primary held on 9/11, a day many voters stayed home. Republican two term mayor Jim Grimes had already beaten himself with a multitude of bad decisions, so the Democratic nominee was assured the win in the General Election. There is no love lost between Jennifer and Ron. In her first race, Jennifer ran for mayor in 1993 and was opposed in the Democratic primary by African American Gary Hughes. Hughes received support from Ron Young and beat Jennifer in that primary election. Republican Jim Grimes would win that election for mayor. During Dougherty’s only term in office, she alienated voters so badly, including Democrats, leading Ron Young to run against Jennifer and beat her in the 2005 city Democratic primary. Upset at being challenged and beaten as an incumbent, she would urge her supporters to back Republican mayoral candidate Jeff Holtzinger. Holtzinger would upset Ron in that 2005 city election. Frederick County Republican leaders are excited about the strong possibility of picking up this seat, realizing neither Jennifer’s or Ron’s supporters will likely vote for the other should they lose the primary. This had been a Republican held seat for many years with Alex Mooney being the last Republican state senator. To the delight of many Frederick County voters, Ron Young would beat Mooney in the 2010 election. Capturing this seat for Republicans however will not be easy. The Republican primary is also filled with intrigue with Frederick County Burger King franchise owner Craig Giagrande and his significant personal campaign financial contributions facing Billy Shreve, a member of the Frederick County council. Giagrande has received the endorsement of popular Frederick County sheriff Chuck Jenkins(R) and the conservative Blog RedMaryland.com. Shreve was a member of the Frederick board of county commissioners when Blaine Young (R) was president. When charter government was passed in Frederick County, Blaine Young would face Democrat Jan Gardner for county executive and lose. Shreve would run for county council and win, enduring what must have been a difficult four years for him under Gardner. Obviously, frustrated with his lack of influence in county government and knowing Ron Young(D) barely won against an unknown Republican candidate four years ago, Shreve decided to challenge Ron Young for state senate. Now, Shreve is locked in a close contest against Giagrande in the Republican primary and may well lose. Both of the Democratic and Republican primaries for Maryland state senate in district 3 will be close, as will the General Election. How well the nominees for each political party unite their voters and are able to appeal across party lines will determine the ultimate winner in this race. The Republican primary to nominate their county executive candidate is likely to be very close. The winner will face unopposed Democratic incumbent county executive Jan Gardner and Independent Earl Robbins in the General Election. Republican voters will choose between three candidates. Frederick County council member Kirby Delauter makes no secret of his disdain toward Gardner. Delauter is a holdover from the previous and last board of county commissioners, led by board president Blaine Young who I labeled "Blaine and Company" in a 2013 column. Their mantra of pro business, pro development and privatizing government services ushered in Democratic county executive Jan Gardner who defeated Blaine Young four years ago in the first election for county executive in Frederick County under charter government. Delauter and other candidates are still primarily battling over growth issues that have dominated Frederick County politics over the last few decades. Delauter's primary opponents, Regina Williams and Maryland state delegate Kathy Afzali have taken a more moderate stance toward development throughout their campaigns. 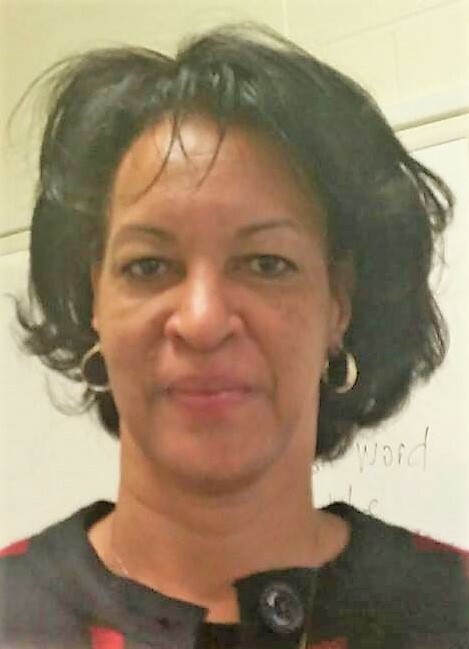 Ms. Williams was a county budget officer who was in a relationship with former board president Blaine Young and was fired from her county position by Jan Gardner following her election victory. Williams would reach a financial settlement with the county after filing a wrongful termination suit. Regina is the daughter of Debbie Williams who is well known in the county and who founded The Patty Pallotos Fund, Inc., a nonprofit that provides aide to individuals suffering from cancer. Maryland state district 4 delegate Kathy Afzali has the largest war chest of the three and would likely be the strongest Republican contender versus Gardner and Robbins in the General Election. Afzali is a hard campaigner first elected after upsetting popular Republican incumbent Paul Stull in the 2010 primary election. With each receiving significant support, look to see the winner receive less than 50% of the vote. It would not surprise me if Afzali emerges as the winner in this contest. The Democratic primary to select two at-large (countywide) county council candidates will also be one to watch. This race illustrates the division among moderate and progressive Frederick County Democrats. Former one term county commissioner Kai Hagen is trying to make a comeback after he and the Democratic candidates he ran with were soundly defeated by Republican Blaine Young and Company in the 2010 election. A lightening rod for voters who support and oppose him, this time Kai is making no secret of his wish to be elected along with fellow Democrat Mark Long. Long ran for county council in the 5th district and lost to Republican Kirby Delauter in the previous election. Sadly, Long and his positions on issues is drowned out by the Hagen rhetoric. Galen Clagett is also trying to make a comeback after retiring as a state delegate following a primary election loss for mayor to Karen Young in The City of Frederick 2013 primary election. Clagett served as county commissioner for 8 years, 4 as board president and 12 years as a Maryland state delegate. There is no love lost between Clagett and Hagen with Hagen highlighting Clagett's support for Delauter and his endorsement of Republican Randy McClement following his primary mayoral loss to Karen Young in the 2013 city election. Susan Reeder Jessee who, in her first entry into politics, barely missed being elected in the 2014 General Election. She came in a close third and there are indications she will receive strong support again. She may emerge as the leader in this primary election. 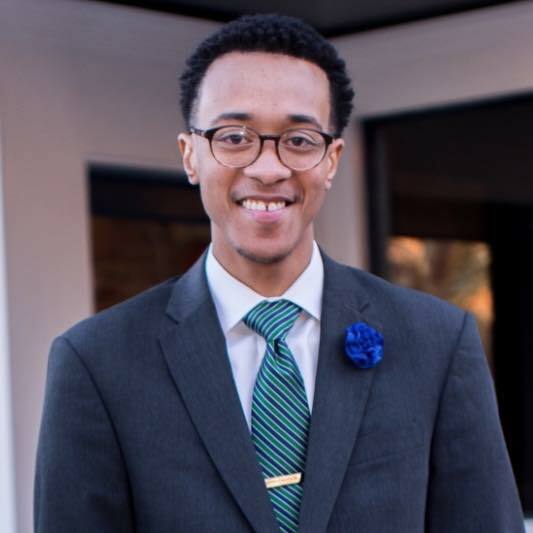 Kavonte Duckett wants to be the first African American elected to the county council and is a refreshing voice. He has exhibited a strong work ethic and sincere desire to represent the voters of Frederick County. Who will win the second slot along with Susan Reeder Jessee is hard to call. Clagett and Hagen both enjoy strong support across the county. However, voters may decide they want to move forward and away from the past by choosing a new voice in either Duckett or Long. In the Republican at-large primary, Philip Dacey, a former City of Frederick alderman, is the front runner. Who will come in second and capture the other at-large seat will likely be a close contest between Justin Kiska who is running again after losing in 2014 and Jason Miller. Danny Farrar is the other Republican candidate in this contest. The Republican primary race in county council district 2 between incumbent Tony Chmelik and challenger Steve McKay is another to watch closely. Their positions on growth once again being the focus. McKay is a supporter of Democratic county executive Jan Gardner so it will be interesting should McKay win the Republican primary to see if Gardner will support him over Democratic candidate Lisa Jarosinki who is running unopposed in the Democratic primary. Look to see Republican Kevin Grubb win the county council district 1 race against Dylan Diggs. The winner will face incumbent and unopposed Democrat Jerry Donald in the General Election. Your vote matters - If you have not already cast your ballot during Early Voting, make sure you go to the polls on Tuesday June 26, 2018. Only days before the June 26 primary election in Maryland there are 40% of Democratic voters who are undecided on a candidate for Governor. This is not a good sign for Democrats who have a 2-1 voter registration over Republicans in the state. Polls show Republican Governor Larry Hogan maintains a lead over any of the Democratic challengers. Interestingly, Democratic state senator Rich Madaleno who is polling down in the pack, does best against Hogan according to a recent poll. However, it is likely the Democratic winner will be either Prince George's county executive Rushern Baker or former NAACP president Ben Jealous who in the above reference poll both received 15% support among seven candidates. Voters like to get behind a winner, so in spite of strong qualifications from other candidates, look to see undecided voters break toward Baker and Jealous. Smart money has Baker ahead with the Jealous campaign trying to knock Baker down a peg by highlighting a kerfuffle surrounding inappropriate pay raises for Prince George's school system administrators and the loss of Head Start federal funding. Baker has support of some powerful state pols while Jealous has union and progressive support. Baker came across more measured in the televised debates and recently received the support of Valerie Ervin who announced she was dropping out of the race after a brief fling at trying to replace the late Kevin Kamenetz on the ballot. But don't underestimate the power of the get out the vote (GOTV) efforts by progressives and unions. It will be the GOTU operation by the campaigns that will determine the winner. I have been among the 40% undecided throughout the primary and feel either Baker or Jealous will make a fine governor for the state. I will support Ben Jealous because I believe we must increase the minimum wage to $15 an hour in Maryland and not over a number of years, but immediately and I hope he will push for this. A livable wage should be the right of every American and $15 an hour barely meets this criteria today. As a cancer survivor, I also believe Jealous will work hard to protect health insurance coverage for Marylanders with pre-existing conditions. Making sure our youth receive much needed further education funded by the state following High School is paramount to our future and I trust Jealous will make this a reality. 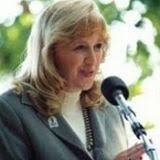 I have also known Susan Turnbull, who is running for Lieutenant Governor with Jealous for years. Her vast experience in the state, including chair of the state Democratic Party makes her a valuable asset who will work hard for voters across the state. It will also be critically important for the Democratic nominee for Governor have the ability to unite Democratic voters after the primary election in order to defeat Hogan in the general election. Jealous and Turnbull are the best combination to achieve this goal. After questionable redistricting during Democratic Governor Martin O'Malley's administration, Frederick County was split and is now represented in congress in the 6th and 8th districts. In the Maryland congressional 6th district race, perhaps the most gerrymandered district in the country, there are eight Democratic candidates battling for the nomination. David Trone, the owner of Total Wine and More, who spent an eye popping $13 million of his own funds two years ago and lost to Jamie Raskin in the 8th congressional district is at it again, this time in the 6th district. Although, he does not live in the 6th district, there is nothing prohibiting him from running for this seat. The 6th district became an open seat when Democratic representative John Delaney, another millionaire, announced he would be running for president. It is likely Trone will come close in this race to matching his personal expenditures in the 2016 election. Although, I enjoyed interviewing him two years ago, I can not support this type of spending for a congressional seat whether it is his money or not. He would have had more effect in helping 6th district voters if he had spent his $20+ million building affordable housing over the last two years. This excessive campaign spending clearly illustrates meaningful campaign finance reform is needed to level the playing field. I personally like Andrew Duck and find him well qualified, but after multiple attempts and failures to be elected in the 6th district, it is hard to get behind him this year. The campaigns ads being run by the Nadia Hashimi campaign have been great and may help boost her and state senator Roger Manno is certainly a credible candidate. However, I am supporting Aruna Miller a state delegate who will represent the 6th district well. Amy Hoeber who won the Republican nomination two years ago will likely emerge the victor among four candidates in the Republican primary election. With two years of exhibiting thoughtful and effective representation, Democratic 8th district representative Jamie Raskin will overwhelmingly receive support for reelection. Following redistricting, it is highly unlikely the Republican nominee will emerge victorious in either the 6th or 8th district. No race is ever won until after all the votes have been counted - so if you have not already been been to the polls during early voting, go vote on Tuesday June 26, 2018. Kim Williams, a widowed mother of three boys has long been involved in the Frederick County Parent Teacher Association (PTA). When I asked her why she was running for the Board of Education in Frederick County, Maryland, she said "I want to be an advocate for children". The board of education race in Frederick County is a nonpartisan election with four seats up for election. On primary election day June 26, voters will choose eight candidates who will continue to the general election held on November 6, 2018. Voters will determine in the General Election the four who will serve on the board. Ms. Williams has been involved with the Frederick County PTA since 1991, serving as president and vice president at Whittier and West Frederick Middle school. In addition, she volunteered in safe and sane, band boosters, regular boosters and sports. Her youngest son graduated from Frederick High School in 2015. "Now", Kim tells me "I want to serve on the board". Kim grew up in New Orleans, Louisiana and joined the Navy where she received training as a Dental Technician. She would meet her late husband of 32 years, who died from cancer in 2011, at Bethesda Naval Medical Center. She is proud of their three sons, all educated in Frederick County schools. Today, Kim is a senior program analyst with General Dynamics Information Technology located at Fort Detrick. She ran for alderman in The City of Frederick election last year. Although, she did not win, she was proud to see two African American candidates be elected for the first time and enjoyed getting to know voters and elected officials. School safety is of paramount concern to many parents today in light of the many mass shooting across the country. I asked her what she felt about the proposal to arm teachers and she was quick to say "I am opposed to arming teachers". Ms. Williams said the causes of these tragedies were complicated with mental health issues often a factor. She felt parents, fellow students and teachers can all be of help identifying a student who may need help. Kim also supports working with the sheriff department to see if the number of School Resource Officers (SRO's) can be increased. When it comes to standardized testing, Ms. Williams said "There needs to be a method, but I think they are being over tested". She added "not all kids test well and teachers are spending time teaching to the test". I asked Ms. Williams what her position was in regard to redistricting in light of some schools being overcrowded and others under capacity. She said "I do think it is necessary to get a better balance". While she supports government funding of charter schools, Kim said "they need to be held accountable to their charter or lose it". I asked Kim what she would like to accomplish while serving on the board of education and she said "I would like to see increased diversity in the teachers and I want teachers to be fairly compensated - too many young teachers are leaving Frederick County to go to Montgomery County". William "Billy" Reid told me after Donald Trump got elected president and the divisive politics that has followed, "I got off the couch and decided to get involved in helping Democratic candidates get elected". He added when Barack Obama won the presidency, he remembered thinking "he sounds just like me"! He is running for the Frederick County Democratic State Central Committee. Democratic voters elect six men and six women to the central committee on primary election day June 26, 2018. Mr. Reid believes in the Democratic Party because he likes diversity and said "it has always been a big tent". He wants to help good people get elected who are concerned with issues and their constituents. Helping to get young people into the Democratic Party is also important to him. In addition, Billy told me "we are going to need innovative politicians to deal with future issues such as the impact of artificial intelligence on the workforce". Raised in Frederick County, his family has deep roots in the community and as a result he told me "I understand the issues that are important to Frederick County voters". His great uncle Maurice Reid served as principal of the first African American High School in Frederick County, Maryland. His mother was also a teacher for 30 years in Frederick County. A graduate of Governor Thomas Johnson High School, Billy has a lifetime of education. He attended University of Maryland, received his veterinary degree at Tuskegee University and completed his residency in Laboratory Animal Medicine at University of Michigan. Mr. Reid also enlisted and served 4 years in the Army followed with 4 years active reserve, primarily assigned to Walter Reed Army Institute of Research. Billy met Monica, his wife of 27 years, while attending Tuskegee University. She works locally at Fort Detrick and he is a staff scientist at National Institutes of Health (NIH) involved in imaging studies. His bio-medical research experience includes developing an animal model of HIV disease. Mr. Reid told me "I am ready to hit the ground running" to help local Democrats get elected following the primary election. He has already been helping with canvassing voters and has attended central committee meetings, adding "I think they do a great job"! Since deciding to run for a position on the central committee, Billy has enjoyed going to candidate "meet and greet" events where he has met many candidates, elected officials and voters. He told me he views the central committee like a cheerleader helping Democratic candidates get elected to office. Mr. Reid said "I want to get people registered as a Democrat and I want to help get Democratic voters to the polls". Billy added, "I am ready to go door-to-door, phone bank and help with targeted voting". To learn more about William "Billy" Reid, you can go to his Facebook page: https://www.facebook.com/williamconradreid/. My hour interviewing Democratic candidate Kavonte Duckett went by quickly and it was readily apparent how enthusiastic he is about serving on the Frederick County, Maryland county council. A lifelong resident who attended Tuscarora High School and Frederick Community College, he told me he has a calling for service and is dedicated to the people of Frederick County. Mr. Duckett feels strongly there needs to be minority representation on the seven member county council. He wants to fill this glaring void and give a voice to people who have been silenced. Kavonte added he wants to earn the trust of those voters and he also wants to represent the next generation of leaders. I told him I had seen his signs popping up and asked him about the challenge he faces as a newcomer running county-wide against four other Democrats, several of them well known, in the primary election. Democratic voters will choose two at-large (county-wide) candidates to go on to the general election. The seven member county council has five members elected by district and two members elected county-wide. Kavonte answered his biggest challenge is he is an African American and race relations is still a big issue today. He said it is often hard for others to understand what a Black man goes through, telling me “I’m afraid to put a hood on when I am going door-to-door when it is raining”. 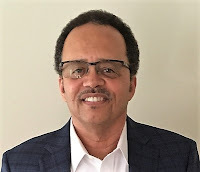 However, he is encouraged with the results in The City of Frederick election last year when voters elected two African Americans to the five member board of aldermen. Kavonte is hopeful that race issues give way to the ray of light brought with the younger generation. Mr. Duckett wants the county to work with the city to invest in our youth, particularly at-risk students. He feels there is a lack of resources for young people and having community centers providing activities, mentoring and help with homework is important. He also wants to make sure there are jobs and affordable housing available so Frederick County can attract and keep young people living and contributing here. Kavonte said it is also vital to make sure there is a minority set aside fund for small business. The opioid crisis is also a concern to Mr. Duckett who said “I want to develop an outreach effort that goes to them and a treatment center that will help people get back into society”. He added the treatment center should include a re-entry program that includes jobs, shelter and transportation. I asked him if he supports county funding for The City of Frederick proposed downtown hotel/conference center. Kavonte said “I do not support county funding for it and would rather see it go to education funding”. When I was wrapping up the interview, Kavonte told me there were three words that summarized his campaign. “I have a heart for the community, a mind for progress and I want to be a voice for all people". You can read more about Kavonte Duckett by going to his campaign website: https://duckettforfrederick.com/ and by visiting his Facebook page: https://www.facebook.com/DuckettforFrederick/. Editor’s Note: The Maryland primary election will be held on June 26, 2018 and the general election on November 6, 2018.